All the phone companies are trying different ways to get rid of bezels: by adding fingerprint sensors under the display or pop up cameras. However, most of the companies are just going for a notch and not everyone is a fan of those notches covering a part of the screen. ZTE has found a new way to work around that notch by introducing a second screen in its new phone titled as the ZTE nubia Z18s. 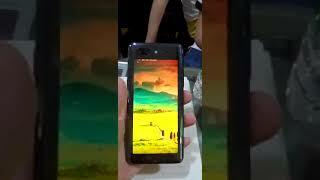 To learn more about this upcoming phone and the ZTE nubia Z18s Dubai price, continue reading. This is not the first time we are seeing a phone with dual display but this time, ZTE is offering dual display to keep the primary display completely bezel-less. Instead of keeping a notch where different sensors and the front camera can be placed, ZTE is keeping another display on the back where all the necessary sensors and camera will be placed. The front display is a 6.26-inch one showing 2280 x 1080 pixels resolution, 19:9 aspect ratio and 403ppi of pixel density. From what we have learned so far, the secondary display will be quite big but we don’t know the actual size or resolution of that display yet. Unlike Yotaphone 3, this secondary display will be a full functioning color display. We will have to wait for an official announcement or the ZTE nubia Z18s release date UAE to find out more about this upcoming phone. While most of the phones are going for a quad-camera or five camera setup, the ZTE nubia Z18s is only packing a pair of cameras on the back. As there are displays on both side, the primary camera can be used as selfie camera as well. One of the cameras is a 24-megapixel sensor with f/1.6 aperture while the other one is a 16-megapixel sensor with f/1.6 aperture. We will be able to find out how this phone’s camera competes with the Google Pixel 3 or Apple iPhone XS after the ZTE nubia Z18s release date UAE. These phones are possibly in the same price range as the ZTE nubia Z18s Dubai price so we are hoping to see a strong competition. Most of the high-end phones are packing the latest Qualcomm Snapdragon 845 octa-core processor and it’s expected to continue before Qualcomm launches a new processor. ZTE’s upcoming phone will be packing this same processor paired with an optional 6GB or 8GB of RAM. Performance is not really an issue for high-end phones these days, but what really matters is the battery life. The ZTE nubia Z18s will be powered by a 3800mAh Li-Po battery with Quick Charge 4.0 for fast battery charging. 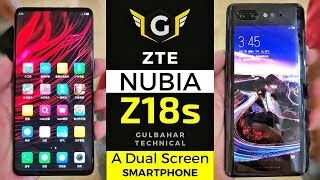 It may not be enough for a phone with two displays but we will have to wait for the ZTE nubia Z18s before we decide if it’s good enough or not. There is the cheaper Xiaomi PocoPhone F1 and OnePlus 6 if you are not interested to spend too much money for a phone but want great performance. Nothing has been officially revealed yet including the price tag. From what we have learned so far, the ZTE nubia Z18s will cost around AED 2900 if not more. 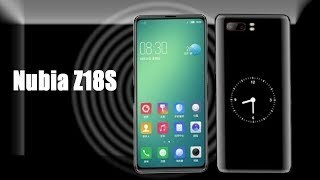 The ZTE nubia Z18s release date UAE can be expected sometimes in November, 2018. The nubia z18s Mobile Phone is manufactured by ZTE and was added around October 2018 and is part of the ZTE nubia Z18s series. 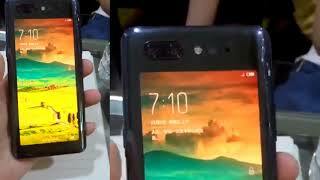 Nubia Z18s - HANDS ON !! !